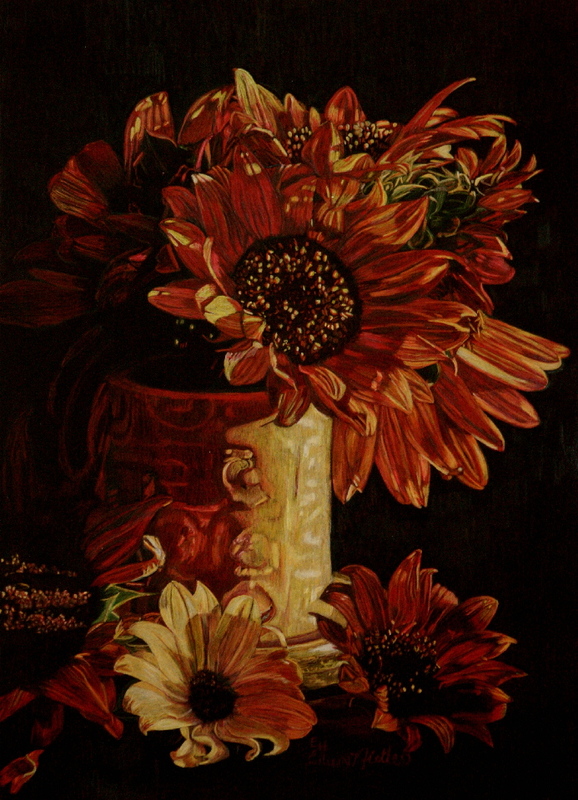 Last week I shipped my painting Gifts of Radiant Warmth to Atlanta, Georgia to the Huff Harrington Fine Art gallery for the American Women Artists show. The opening reception is at 6:00 P.M. October 14th. I won't be able to make it to this show but have really enjoyed seeing it online at www.huffharrington.com! This is a VERY nice show! The show closes November 3rd. Huff Harrington Fine Art is honored to host the 2011 annual American Women Artists National Juried Competition and Member show featuring works of more than 40 female artists from across the country, including five from Georgia. The pieces on display will include sculpture, drawings and paintings juried from more than 1200 submissions. really, the show is nice.